Posted by Sara Powers on August 3, 2018 at 11:59 AM. Filed under Power . Powerful surges can destroy your favorite (and most expensive) electronics and cause severe data loss. Surge Protectors keep your beloved devices safe from damage caused by these surges. As technology evolves, there is a heightened need for surge protection - due to smaller and more sensitive electrical components in the devices we use daily. But how do we know which surge protector to buy? What devices need surge protection? We went and talked with our surge protection experts here at Jasco and asked them all the questions we know you've been curious about in "Ask the Experts" - Surge Protection edition. A surge protector is an electrical device designed to protect connected equipment from harmful spikes in voltage. A surge protector will safeguard your electronics from the adverse effects of power surges and voltage spikes. 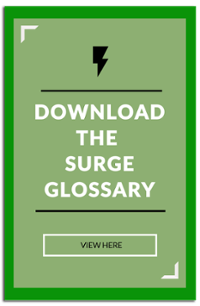 They absorb and dissipate the power of a surge so that connected equipment is shielded from the surge. What should I be looking for when shopping for a surge protector? Protection level: Are you needing basic protection for simple electronics, or a high level of protection for devices like TVs or computers? Number of outlets: How many devices to you need to power? Cord length: Is the power located where you need it? Can I use a surge protector on a GFCI outlet? Yes, but if the GFCI trips, all power will be cut to the surge protector. It is not advised to plug in any device that covers the reset button. How long do surge protectors last on average? Do they go bad? 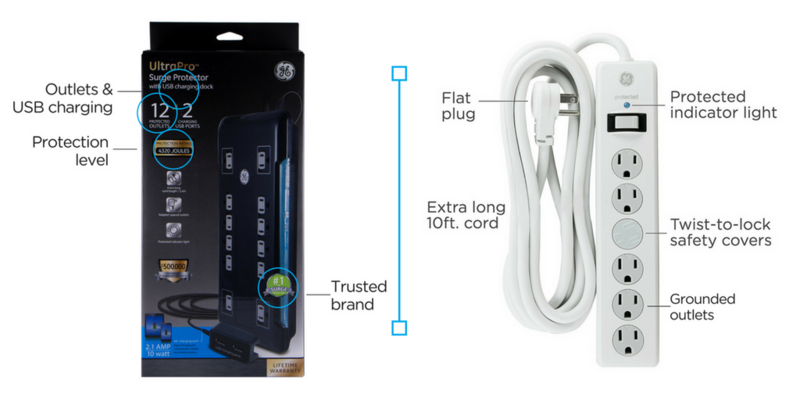 A surge protector has a limited life and will not last forever. Eventually the surge protection will expire. The length of the life of a surge protector can be a function of several variables such as joule rating, clamping voltage, the number or power surges absorbed, and the severity of the power surge. Do surge protectors need to be grounded to work? What does grounded mean? No, however, nearly all surge protectors have a grounded plug and outlet. Grounded means that there is an electrical path to divert voltage and prevent electrical shock. What is the ‘Protected’ light for? The protected light on a surge protector shows that your surge protection is active and working. It’s a good idea to periodically check to make sure the ‘protected’ light is still lit. If the light is out then your connected devices are now unprotected and the surge protector should be replaced. Can you connect a power strip into surge protector? This is called ‘daisy chaining’ and is not advised because it is a safety risk. Are surge protectors and surge suppressor the same thing? Power strip? Surge protectors and surge suppressors are the same thing. A power strip is different though. Although surge protectors and power strips both expand the number of outlets that can be used, a power strip does not provide any protection to connected equipment, only surge protectors safeguard your electronics from power surges and voltage fluctuations. How can I tell if I’m getting the best quality surge protector? Key indicators? Joule rating is the most common way to determine the level surge protection you are receiving. A higher joule rating means a higher level of protection.